Creative narrative art portrait. Storytelling editorial photography. 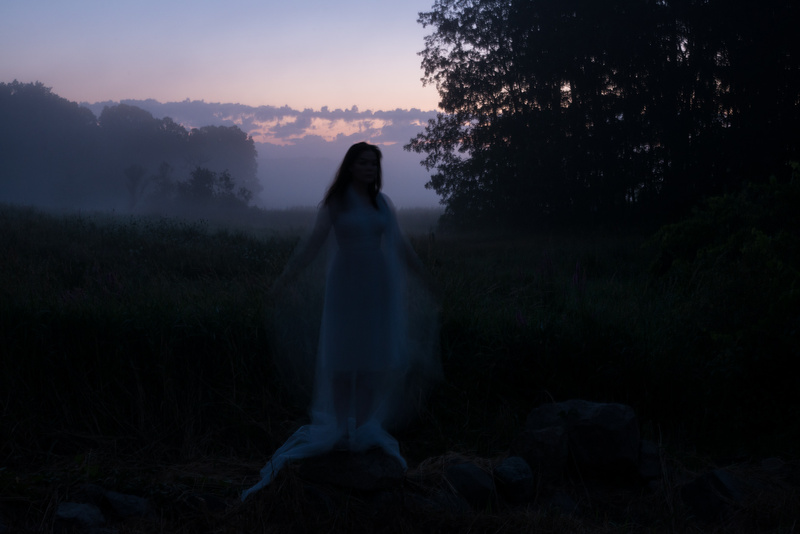 Ghostly image of a woman wrapped in gauze in a field at sunrise.